Follow these simple tips and enjoy every minute together on our beautiful beaches, rivers and lakes. Children Love THE Water So Teach Them These Lessons. Swim within your depth. Stay within your depth. Swim at Lifeguarded waterways, listed on our main site. Always wear a lifejacket when on or near the water. Alcohol is a factor in 1/3 of drownings. Don't mix it with water activities. In a series of heartfelt films, brave rescuers tell their stories to highlight the many and often unexpected ways people find themselves in difficulty in water. On radio, actor Liam Neeson graciously lends his voice to highlight the importance of extra vigilance, especially at this time of year. Throw a ringbuoy or any floating object and call 112 for the coast guard. Keep up to date with water safety news, tips and advice. Just complete the short form below and we'll send you updates throughout the year. Your details are now entered a draw. If you win the family day out prize, you will hear from us on Monday 26th June. 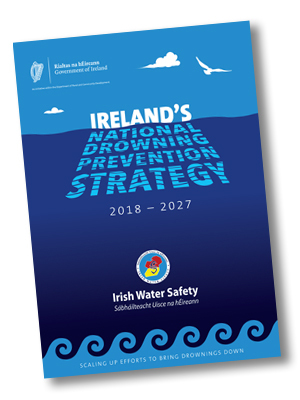 >>Click here to view Ireland's National Drowning Prevention Strategy.